180 Oz In. Hybrid1.8° /200 Steps Per Rev.2 Amps Current Per Phase8-wire Uni-polar or Bi-polarNEMA 23 FrameDATASHEET..
260 Oz In. 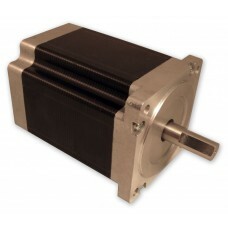 Hybrid1.8° /200 Steps Per Rev.2.5 Amps Current Per Phase4-wire Bi-polarNEMA 23 FrameDATASHEET..
***Please inquire about availability***Pre-Orders Only280 Oz In. 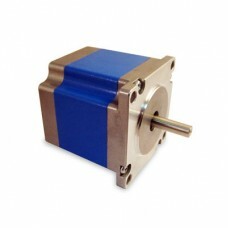 Hybrid1.8° /200 Steps Per Rev.3 Amps Current Per Phase8-wire Uni-polar or Bi-polarNEMA 23 FrameDual ShaftDATASHEET.. 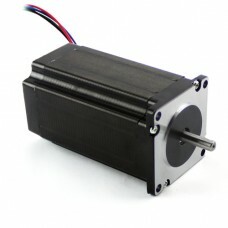 The most powerful NEMA23 stepper motor in the world! 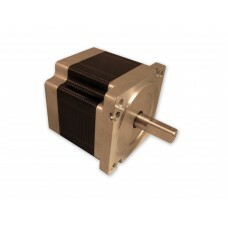 These 4-wire beasts are internally wired as bi-polar parallel for the best combination of power and speed.NEMA 23 FrameDual Shaft front 3/8" rear 1/4"1.8degrees 200 steps per revolutions5 Amps &nbs..
600 Oz In. 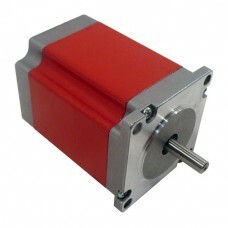 Hybrid1.8° /200 Steps Per Rev.6 Amps Current Per Phase (Bi-polar)8-wire Uni-polar or Bi-polarNEMA 34 FrameSingle ShaftSPECIFICATIONS..
1150 Oz In. 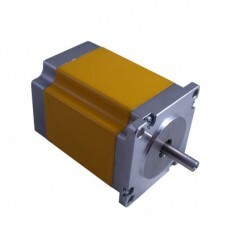 Hybrid1.8° /200 Steps Per Rev.8 Amps Current Per Phase (Bi-polar)8-wire Uni-polar or Bi-polarNEMA 34 FrameSingle ShaftSPECIFICATIONS..